talks about the significance that different flowers and the tulsi plant hold in Indian culture and tradition. Nature is both venerated and used in worship in India. No puja is complete without the use of flowers. 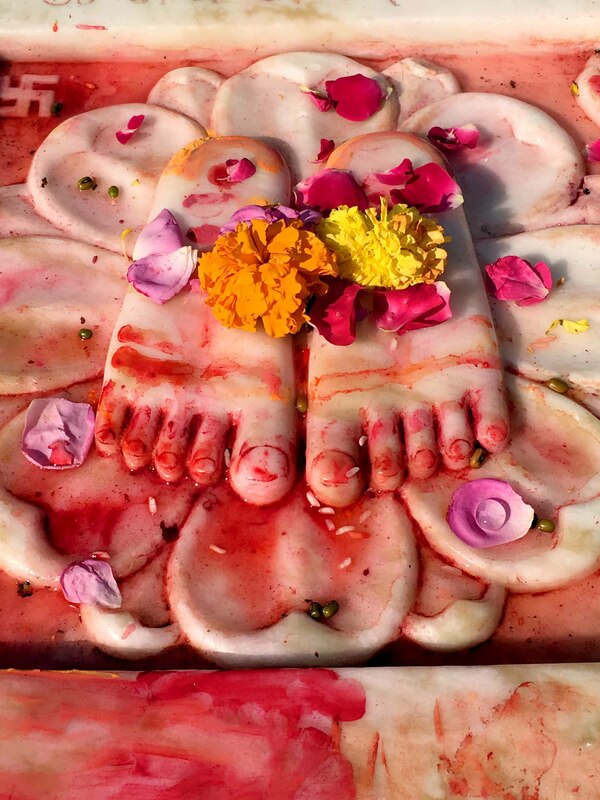 Various Hindu deities are associated with various flowers and plants. The sages of old understood the benefits of aroma, aesthetics and chemicals found in plants long before modern science had begun to decode them. The tulsi or holy basil, the marigold, the jasmine and the lotus are all flowers and leaves of special significance in India. The plants used in worship and as decoration at important events are symbolic, and carefully chosen to address specific needs. 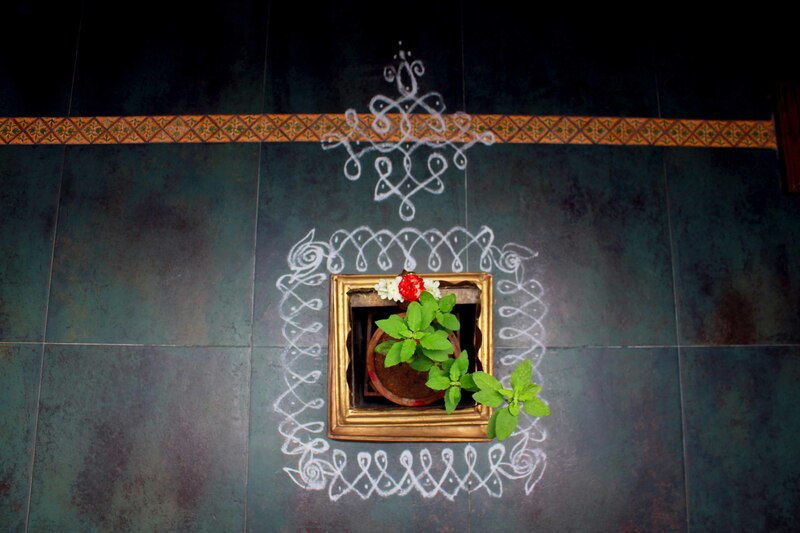 The tulsi is worshipped for its own sake – an acknowledgement of the fact that it is a storehouse of medicinal benefits. The serene white of the jasmine is used in wedding garlands and other floral decorations, and women wear it in their hair whenever they can – its aroma soothes the nerves and also titillates the senses. 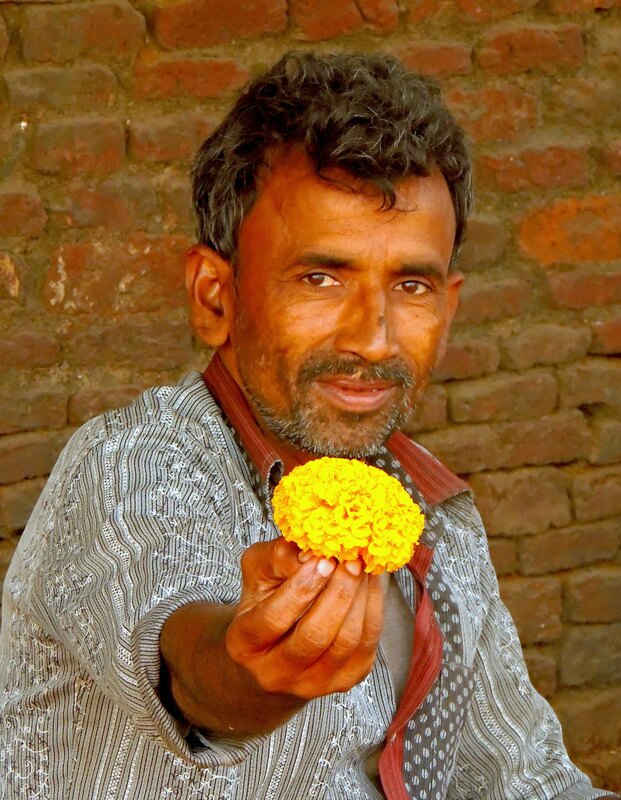 Marigolds make a splash at all auspicious functions – and also at funerals. And the lotus, rising in breathtaking beauty from muddy ponds and shallow lakes, is especially dear to Indians – it is the country’s national flower. Lord Krishna’s wives graced his court with their beauty. Satyabhama was especially beautiful, and haughty as well, because she was of royal lineage, and her father exceptionally rich. One day, Narada, the celestial sage who revelled in making mischief, asked Satyabhama whether he was correct in his impression that Krishna loved Rukmini more than he loved her, the younger queen. Satyabhama was troubled, but Narada said he had a plan for her to demonstrate the extent of her love to Krishna. Obeying his instructions, Satyabhama told Lord Krishna that she had vowed to give him away as a slave to Narada, but the sage had said she could win him back by giving him the equivalent of Krishna’s weight in jewels. Krishna did not protest when she led him to the open courtroom, where a pair of big scales had been placed. There, she announced her vow to the gathered courtiers and proceeded to pile on her ornaments in one pan of the scales while Lord Krishna sat on the other. But no matter how much jewellery she placed on it, the pans refused to budge. Finally, Satyabhama exhausted her considerable collection of jewels. At her wits’ end, she turned to Rukmini. The elder queen calmly plucked a leaf from a tulsi plant, and, praying to Lord Krishna, placed it on the pan overflowing with ornaments. At once, the pan on which Krishna was sitting shot up. The tulsi leaf, offered with utmost love and devotion, outweighed all material wealth. Satyabhama thanked Narada for teaching her a valuable lesson. Thus, the tulsi is particularly sacred to Lord Krishna. And the practice of offering tulabharam – the equivalent of a person’s weight in some item used in devotion – is particularly associated with the Sri Krishna temple at Guruvayur in Kerala. The tulsi is replete with medicinal wealth. It is rich in antioxidants, and has antibiotic and antimicrobial properties. It contains vitamins A and C. The phyto-chemicals in it are useful in treating bronchial and skin ailments, and it is used in salves to heal wounds. medicine. It has an unpleasant odour, which is believed to repel insects, and that is one reason the flower is so lavishly displayed at functions. The jasmine’s calming properties are made use of in the popular jasmine tea. However, it is good to know that jasmine tea is not made from the jasmine plant. It is green tea, infused with the soothing aroma of the jasmine flower by drying the buds along with the tender tea leaves. 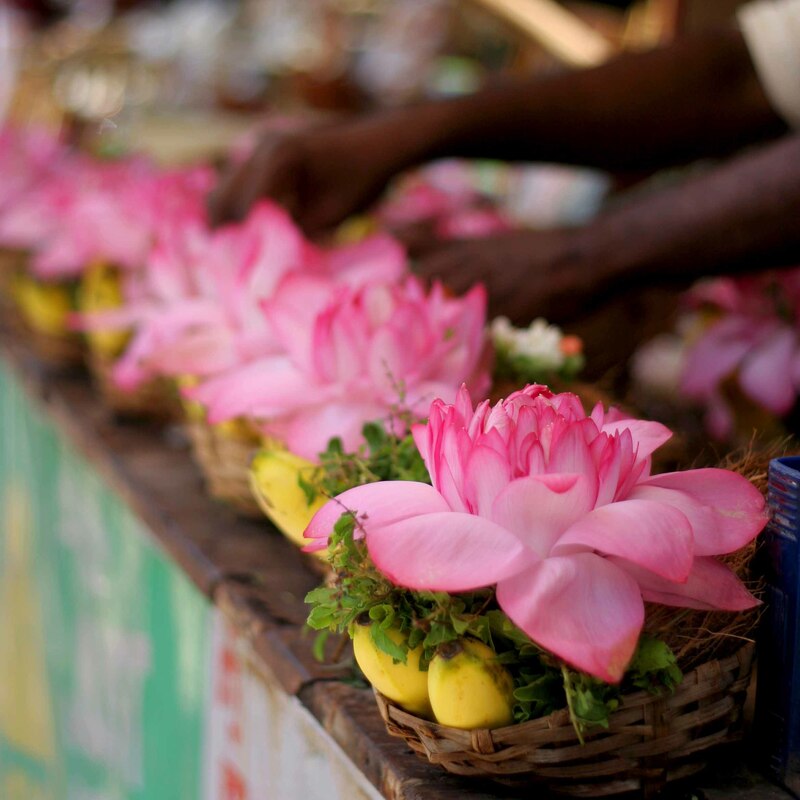 The petals, stamen, seeds, stem and leaves of the lotus are believed to have beneficial effects on a range of ailments, including high blood pressure, certain digestive disorders, kidney problems and even heart disease. Yanmadhye sarva vedaascha Tulasi taam namaamyaham. I bow down to the tulsi, at whose roots are all the holy places, at whose top reside all the deities, and in whose middle are all the Vedas. The lotus is considered a sacred flower in Egypt. It is a valued ingredient in Chinese medicine. It is the national flower of Vietnam too. The jasmine is the national flower of Pakistan. 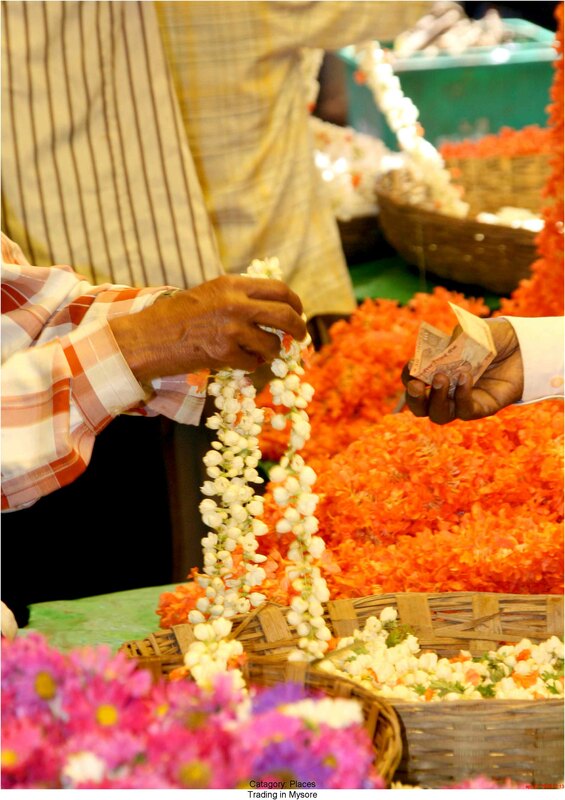 Along with roses, it is an essential part of wedding garlands used in the subcontinent. They symbolise love and unity. They are used in funeral rites as well. Jasmine also plays a part in European wedding rituals, particularly in Italy. 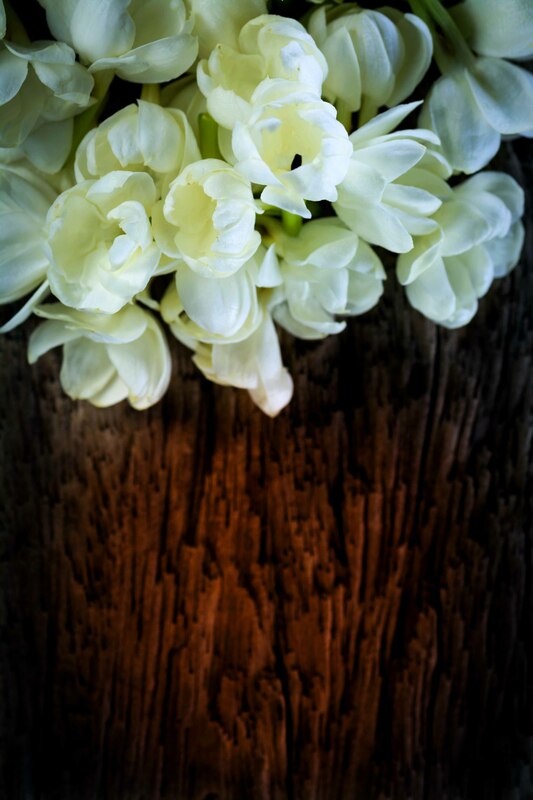 Legend has it that a Tuscan farmer got a jasmine plant from a Persian trader, and zealously guarded it in his garden. He presented a bunch of jasmine flowers to the girl he wanted to marry, and, captivated by the aroma, she fell in love with him and agreed to be his wife. The name ‘marigold’ is a corruption of the term ‘Mary’s gold’. In olden days in Europe, it was an offering made by poor Christians to Virgin Mary, in place of the gold coins which the rich gave. The Aztecs also used it for worship. ‘Basil’ is derived from the Greek ‘basileus,’ meaning king – a reference to either the plant’s excellent aroma or the fact that it was used in salves made for kings. It was an ingredient in ancient Egyptian medicine, and went into the ointments used in the process of mummification.